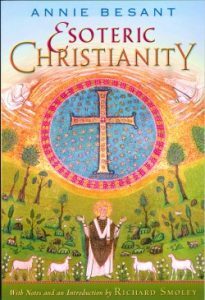 This is the third and last talk by Ann Ford, on the Theosophical classic, Esoteric Christianity by Annie Besant (1847-1933). Ms Besant interpreted the New Testament in light of the Ancient Wisdom tradition, whose truths are common to religions around the world. This last presentation will cover the nature of mankind (the Human Constitution), the Trinity, prayer, the sacraments and Revelation. Ms Ford will distribute a handout that summarizes the two previous talks. This program is free and open to all.